It's no surprise that labor costs are top of mind for chief financial officers. But with historically low unemployment numbers, that budget line item looms even larger as organizations try to figure out new strategies to not just recruit, but, more importantly, retain workers. CFOs are also central figures in trying to figure out how the industry can become more transparent when it comes to prices. Some make the case that the move to at-risk contracts will greatly alter the debate on what information consumers need. 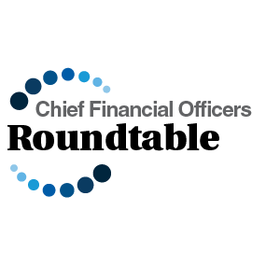 Modern Healthcare finance reporter Tara Bannow recently held a roundtable conversation with a panel of CFOs from a cross section of the industry. The following is an edited transcript. MH: What is your health system's fastest-growing expense, and what are you doing to mitigate that? Keating: It has actually been a small phenomenon that exploded this year—our labor costs. We're having more vacancies within nursing and within physician positions across the network. The problem with that is we have to replace them with (temporary staffing and overtime) costs that are anywhere from 40% to 100% higher than if we were able to find full-time people to fill those vacancies. In Vermont and New York, people are leaving and it's hard to keep and retain young professionals who are graduating in the schools up here. One of our hospitals just hired 53 new nurses, but they lost 60. It feels like we're on this treadmill right now, this churn, and not making any progress toward getting some permanency around filling these positions. Filton: That's certainly representative of our issue as well. We have a broader geographic footprint, but certainly in a number of markets and a number of hospitals, as Todd described, there are higher rates of premium pay, overtime, temporary nursing, etc. But we've also talked a lot publicly about the impact on our behavioral health business. We just can't fill the vacancies, honestly, at any cost. As a result, volumes and revenue have slowed considerably after a number of years of relatively robust growth. It's a real challenge that I assume will continue to be there as long as the country continues to operate in this very robust economic environment in which unemployment is at, depending on who you listen to, 20- or 30-year lows. Wathen: We're experiencing some of the same phenomena. I can't say that we've had as many issues filling positions on the professional side, but because of the low unemployment rate, we are competing with other industries for service workers. We are having a lot of difficulty with those entry-level positions. It's really forcing up the cost of labor. We can fill them, but we're having to pay a lot more to do so. Keating: To Steve's point around the behavioral medicine part, we've seen a dramatic increase this year in the need for 1-to-1 staffing, which is costing the medical center a fortune. The reason is the undersupply of beds in the state of Vermont. We are going to be working with the state to try to address the inpatient bed problem. MH: What are your thoughts on the Trump administration's decision to expand association health plans? Is there the potential for that to drive up bad debt? Filton: Exchange enrollment has now been relatively flat for a couple years, and I don't necessarily see that changing. Obviously, the Trump administration, through a variety of means, is trying to chip away at the exchange enrollment. The association plans, I think, are a way to provide insurance to generally younger, healthier people in cheaper plans. I'm not sure that's always in the best interest of providers. At the end of the day, again, I don't know that exchange enrollment has been a real needle-mover for us. Medicaid expansion was probably the more significant part of the Affordable Care Act. Keating: Vermont has formed a statewide accountable care organization that has participation through Medicare, Medicaid and Blue Cross and Blue Shield of Vermont, which is, far and away, the largest commercial insurer in the state. If all of the attributable lives were put into the ACO, we would have 80% of the revenue associated with healthcare providers in that ACO. We are truly moving toward population health management predictability in revenue streams and the payer's predictability and the cash obligations for themselves. We have another four years of the agreement with the CMS, and we'll see how it plays out between now and then. Wathen: My initial reaction is somewhat mixed. With the elimination of the tax penalty for the individual health insurance mandate in 2019, I expect that individuals who are currently on the exchange and have incomes that exceed the threshold to receive tax credits will look for cheaper alternatives. If they qualify for one of the association plans, I think they'll move in that direction. I do believe there's a market for plans that don't necessarily cover everything. If the association plans provide decent coverage, that's great, but what we find is that most people don't plan for sickness like they do to purchase a car or a house. So will they have insurance that really meets their needs or would they be sold a policy that is similar to what we see in our market called discount or reference-based pricing plans? As people drop off the exchanges, prices are going to go up and more insurers are going to leave the exchanges, which I believe will leave more patients without an insurance alternative. So I do believe the end result is going to be additional uncompensated care. MH: There's been a lot of focus on the rising price of medical care. What are you doing in the areas that you can control to lower prices? Keating: Because we are moving toward capitated payments, pricing is becoming less important since we're going to get paid a fixed amount by each one of the three payers I mentioned before. What we have to do, though, to work with the payers is remove some of the fee-for-service barriers and obstacles to accessing care. When we see costs go up, we're hurting small businesses and the residents of Vermont. So we're making a concerted effort to redesign the cost structure of our network to first slow the rate of growth. We've been able to do so over the past three years by only taking increases in our prices through the state regulatory process, as low as seven-tenths of a percent, to as high as 2.4% over the past three years. That's well below the inflation number, and we have absorbed some of the cost-shift from our public payers. Wathen: We're not at capitation yet, so chargemasters do still make a difference. I think a lot of us would like to set aside our chargemasters and start from scratch, but with existing payer contracts, that's not feasible. What we've tried to do at Deaconess over the course of the past four to five years is review our prices for reasonableness, especially as it relates to the underlying resources being consumed. And where warranted, we've actually taken prices down. As part of our managed-care strategy, we've also established more favorable pricing for what I refer to as commodity type items—lab tests, CT scans, MRIs, mammograms, colonoscopies, those types of things. Filton: I think we'd all acknowledge that there's some excess utilization and duplication and to some degree, waste in the system. I think hospitals can generally identify a lot of it, but it's not always within our control to eliminate it. As we are moving, as Todd said, to newer payment plans that are more risk-based and more of the risk of utilization is shifted from the payers and the employers to the patients and providers, we'll be able to do a better job of driving out a lot of that variability. MH: How has your health system responded to consumer demands for increased price transparency? Keating: If patients inquire as to what their responsibility is going to be for a specific procedure or visit, we can give them that number prior to them arriving at the facility. We have to report that kind of transparency to the state on some of our more common procedures. As we continue to put more covered lives into the ACO, people don't have to worry about it anymore. Going into the value-based payments, the need for that will go away because we're not going to get paid on an episodic basis like we are in the fee-for-service world. We're going to get a lump-sum payment for that patient. Wathen: We don't believe that placing our charges on our website is the answer, because no one pays the sticker price, including our self-pay patients. What we do is try and encourage our patients to call our price line where we can help them understand their individual benefits and how much they can expect to owe for a particular procedure, because that's really what they're interested in—given their insurance, how much are they going to owe? If they can't afford the care, that also gives us the opportunity to work with them for possible charity care or other interest-free payment arrangements. MH: Do your staff members work with patients' insurance carriers to determine what their charges will be ahead of time? Then they can start the dialogue as to payment arrangements or what else needs to happen. We have a few items out there online that are bundled pricing, so if someone called and they have a high-deductible health plan and they say, “I really need this CT done or I need this MRI done,” we have some options if they want to just forgo their insurance and do a cash-and-carry type arrangement. We have preferential pricing for that as well. Filton: As an industry, we can do a better job on pricing transparency, but my personal opinion is that's not going be the crux of controlling healthcare costs as we move forward. The notion that people are going to ultimately buy their healthcare the way they buy a car or a refrigerator, I think, is just flawed. That's just not the way the vast majority of healthcare decisions get made. Cheryl alluded to it before. They're generally not initiating the decision. Somebody else—a physician—is telling them they need a procedure or they need a test. In many cases it begins with an emergency room visit, so there isn't the time to do that sort of comparison shopping. MH: How are drug prices affecting your health systems' bottom lines? Keating: Our activity with regard to 340B pricing and contract pharmacy is growing dramatically. However, we have been negatively impacted at our academic medical center because we lost about $90 million in reimbursement with the latest action with regard to the 340B program. So it is affecting categories of hospitals in different ways, but we're clearly keeping our eyes and ears open to what's coming out of Washington. Not only are we looking at federal action being a threat to 340B, but we're also waiting for the other shoe to fall with regard to Medicaid reimbursement. Filton: As a for-profit provider, we never benefited from the 340B program, so we don't feel the same pressure that Todd described. Drug costs are a significant part of our overall cost structure, and we always try to address them in sort of a two-pronged way. One is simply trying to drive the lowest cost that we're paying for drugs. We generally do that through our group purchasing organization, as I'm sure most of our hospital peers do as well. But then the other piece of it is trying to control utilization, using the lowest-cost but most-efficacious drug in every situation. MH: Since you are such different health systems, I'm curious how the Tax Cuts and Jobs Act has affected your organizations? Filton: We are a for-profit entity. At the end of a day, we always have a view that we're investing all the dollars we think are necessary into our hospitals. To the degree that the tax cuts have put more money in our, if you will, corporate pocket, that's helpful to us as we think about reinvesting in the business. This is an expensive business to run, both from an operating and a capital perspective, so having a lower tax burden is helpful to us and I think it helps us provide the best care to our patients. So we certainly have welcomed the reduction in tax rates. Wathen: For us, the most significant change is the repeal of the (penalty for the) individual mandate. We fully expect that we will see higher bad debt and charity care and likely go back to the pre-ACA days. For us, that will mean continued cost reduction initiatives as revenue declines. In regard to other aspects of the tax act, we are a tax-exempt facility. We do issue tax-exempt debt. So in the future, what will be the demand for tax-exempt debt with the change in the tax rate? I think only time will tell. We haven't issued any new debt since 2016, so I think going forward there is some question and concern about that.